Wednesday, September 16th, 16:00 – 17:00 CET (10:00 – 11:00 AM EDT) for our free webinar, Quasar: Efficient and Elegant Fibers, Channels and Actors with Fabio Tudone. Quasar fibers bring true lightweight threads to the JVM as well as Erlang-like actors, Go-like channels and Dataflow programming: this means we can efficiently use straightforward blocking APIs and regular stack-based control flow rather than submitting to cumbersome and infectious async and monadic styles. to offer an extremely lean and expressive API. 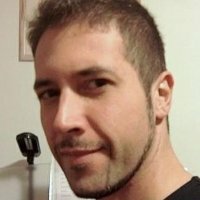 You can ask questions to Fabio and suggest themes for future webinars in comments. This entry was posted in Events, Libraries and tagged actors, API, dataflow, fibers, kotlin, quasar, webinar. Bookmark the permalink.